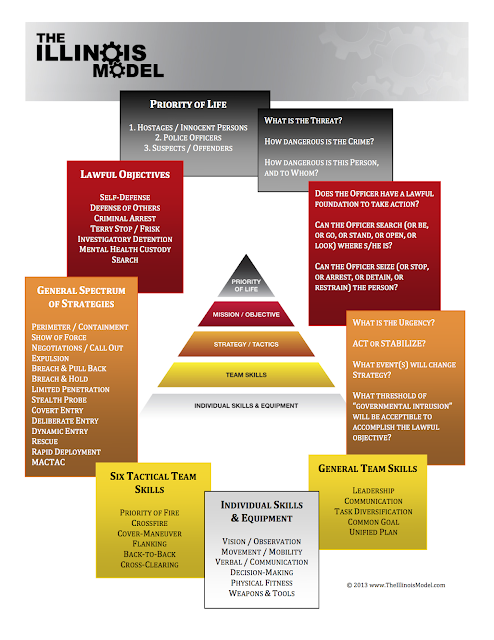 Adaptive Leadership Methodology, adult learning principles, concept-based education, and process/procedure simplification have been reappearing in police training circles from many angles. 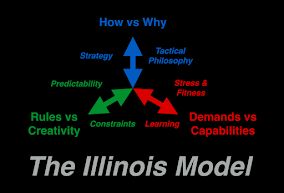 Our cadre chewed on these ideas for a half-dozen years before engineering them into The Illinois Model. Sitting between lofty, abstract theory and concrete (and un-workable) procedure, our system holds a balance of useable and flexible "guidance." This is the highest-order "concept" of policing: Cops are problem-solvers. The civilian police community needs to accept this all-capturing descriptor if it hopes to prepare itself for the future. But cops cannot be given a map of the city and be told..."Go forth and solve problems!" They need guidance...in the form of well-developed policy, training, and process. Concepts and principles are more important than tactics and techniques. "He can't see the forest for the trees" is a popular proverb about a man who doesn't see the big picture. The forest depicts the concepts, while the trees are its details. Modern police training methods were adopted from Industrial Age assembly-line factory training programs where only a cookie-cutter and technique-level of proficiency was required. This works for handling problems (like assembling widgets) that are highly predictable. They use a step-by-step process or checklist. This manufacturing/technical skills-development influenced police training to be very similar: heavily weighted on the proficiency of technical skills through rote repetition and memorization. Skills like defensive fighting techniques, handcuffing, baton strikes, firearms skills, and on and on. Even "team" type training has been infected...through rigid team formations for SWAT units or riot teams. Cops have been told what to do and are evaluated on how closely they can replicate the task or skill. For the sake of ease (and no doubt with good intentions), police trainers give an "if this happens...do this" lesson. This is an issue for police officers who cannot possibly respond to problems via a checklist mentality. Officers face problems that have too many twists and turns. And the problems are too damned unpredictable to being with! Rarely does "do this when that happens" work. Over time, police trainers began adding more and more skills and tasks, more and more "if-thens," and more and more tools and equipment. But this really equates to just thicker policy manuals, longer checklists, and.....less time to train on decision-making. 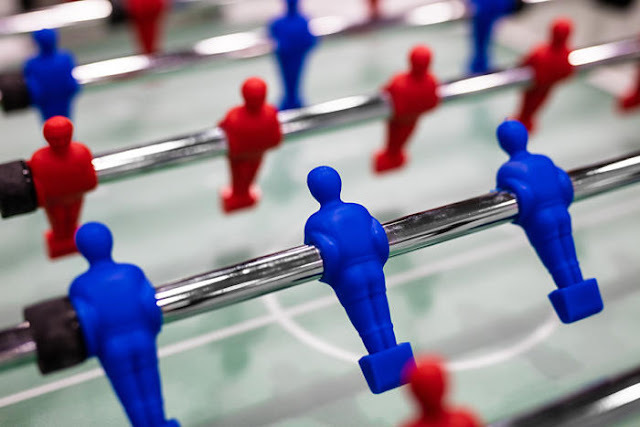 Back to the problem-solving culture: To promote this culture, the theories behind Adaptive Leader Methodology can be applied. The theories of ALM form the next "level" of concepts. They are, in this author's opinion, a little bit more concrete, more articulated, and more defined. This also means they are a little bit less important than the overriding priority of embracing problem-solving! 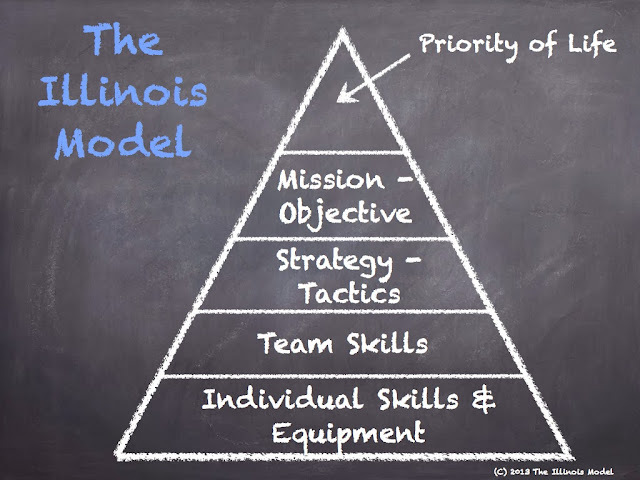 This is not only the basic framework for The IL Model, but a diagram to EXPLAIN it! Adaptability is one of the three main traits of an effective police operational system (the others being Scalable and Applicable). Adaptability is simply....the ability to adapt. It requires the decision-makers (whether an individual or an organization) to respond effectively to changes in the situation or problem. In policing, a problem can branch off into any number of new problems. This potential "branching" is what prompts the classification of non-linear problems. Again, while checklists work well for solving linear problems, this same mindset does NOT work for non-linear problems! and act on that decision. These are certainly great departures from technical skill development like firearms marksmanship, team formations and movements, or fighting abilities. ALM focuses on teaching or mentoring students HOW to think rather than WHAT to think. There is another level of concepts. These yet again become a little bit more concrete, more articulated, and more defined. This also means they are a little bit less important than the above theories of Adaptive Leader Methodology. Again, it's all about keeping a rank of what's most important. Non-linear decision-making. Understand the potential branches or changes of the problem. Problem "triage" and prioritization. Rank multiple problems according to urgency and importance. Balance of a decision's accuracy and timeliness. Balance being "slow and right" versus being "quick but reasonable." Implementing "stabilizing" strategies. Take steps at controlling the problem or its ability to change. Acceptance of chaos and the unknown. Work without all the facts. Delegation mindset. Don't do everything...assign tasks out. Benefits of being a "Generalist." Know a little about a lot. Though these first several levels of concepts, these problem-solving traits are becoming more defined and understandable. They are moving from abstract to concrete. And from high to low importance. These traits are still, however, generic enough to be applied to a wide variety of industries, environments, workplaces, or responsibilities. They can be applied to air traffic controllers, nurses, rescue workers, or submariners. Police officers need something that takes the above concepts and molds them into something specific for their duties and authority. Police officers need a bit more direction. This next lower level of concepts is specific to law enforcement. The idea of a "law enforcement operations system" is new. A growing group of police officers in Illinois (and now outside the State) continues to refine a universal "orienting" process for non-linear law enforcement problems. 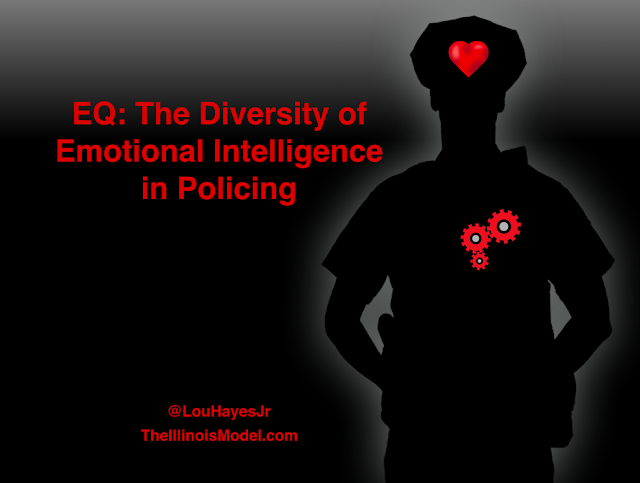 The Illinois Model is the framework used to filter solutions or responses options to any and all police situations. It puts the list in an order or importance that is supported by contemporary statute and case law. Each tier of the model contains a description of what must be considered, pondered, questioned, or answered by the user. Much like the OODA Loop, this model is applied over and over again until a problem is solved. Every time a situation changes (and observed! ), the responder uses this template as a guide for orienting new solutions. When practiced, this non-linear process can be extremely fast. But it takes practice and application in a variety of training and education sessions that require decisions in crisis. 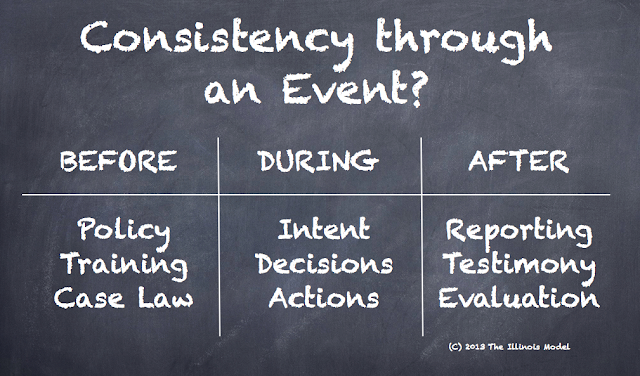 This process can be used by individuals, by units, or by entire organizations. and any number of training drills from the most static to the most dynamic. The developers believe the model to be an evaluation tool that properly puts the weight or priority on different aspects that arise in the orientation phase of the OODA Loop. Those aspects, again, include two issues that CANNOT and MUST NOT be ignored: ethics and law. It also ranks issues of strategy/planning in regards to tactical or personal issues. It has been simplified down to its core. And the developers believe that's the beauty of the model. Cops are problem-solvers. 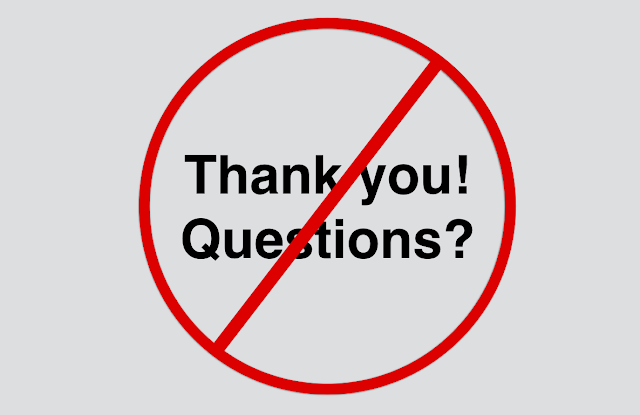 After accepting this as a main theme of their profession, they must be treated as adaptive leaders in dynamic and changing situations, and empowered to act without permission, without all the information, and without fear of an unfair evaluation based on an uncontrollable yet unfavorable outcome. They must act within a tense, uncertain, and rapidly evolving environment...similar to an emergency room physician. But there are a different set of "rules" that police officers must follow. The police community must ensure that the rules (AKA "concepts") are properly prioritized, weighted, considered, and evaluated. This author believes The Illinois Model is a systems-based approach that has a delicately simplified recipe for success. It provides just enough interpretation of the concepts mixed with just enough flexibility in the details to allow for creativity. It's called guidance. And it makes sure police officers are given the right tools, policy, and training to....go forth and solve problems! Very interesting article about Concept-Based Training & Education. 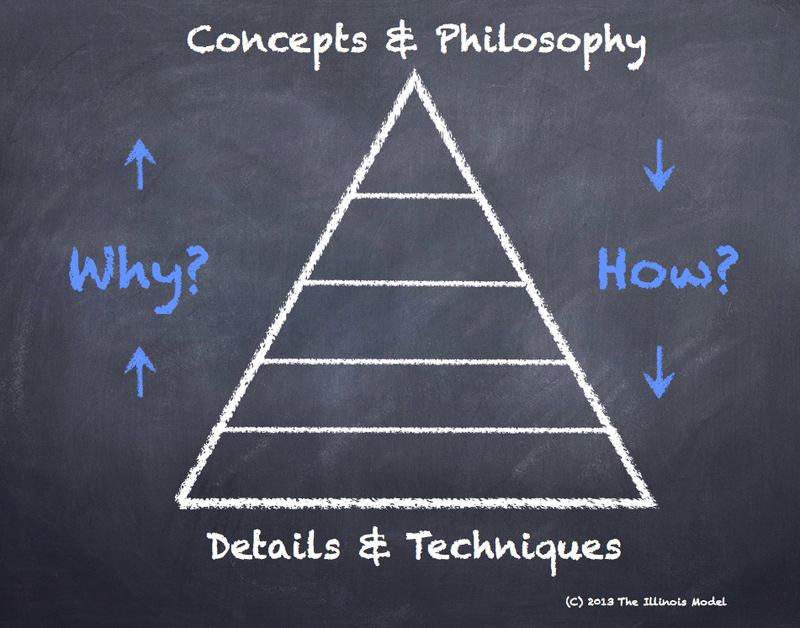 Concepts and principles are more important than tactics and techniques. Thanks for posting this stuff of education related post. I like to share this with my friends also. Keep Posting.